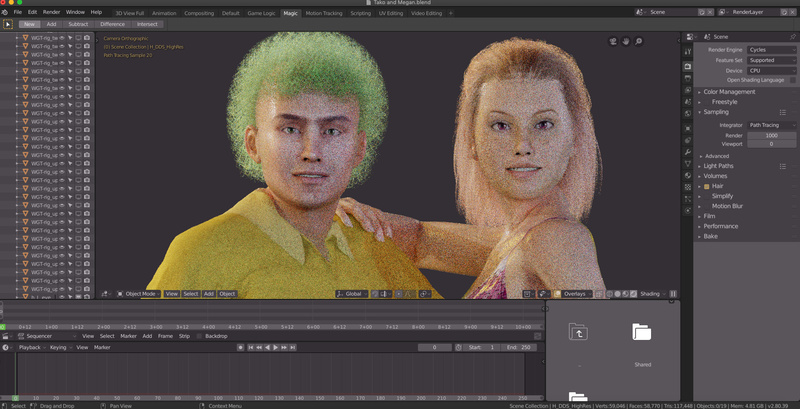 Hello um, I use Blender 2.79 and 2.8 and have a little problem well I have created 2 characters with realistic colored hair. and I want to render them out for the 2nd short film I’m working on. but whenever I tried to render them out, its somehow eats up all of the memory of my computer so fast I have to cancel it or quit the software the number of hair particles I have in the 2 is 2500 the reason is because I wanted my short film to be realistic as possible with detailed everything. I have seen other blender users with detailed work with success but mine though I’m scared it will crash everything and I have to start over again. here’s what the final result is supposed to look like. How do I manage to render complex anything like this with twice as much detailed anything such as hair and many more without the system crashing or eating up all of the memory?